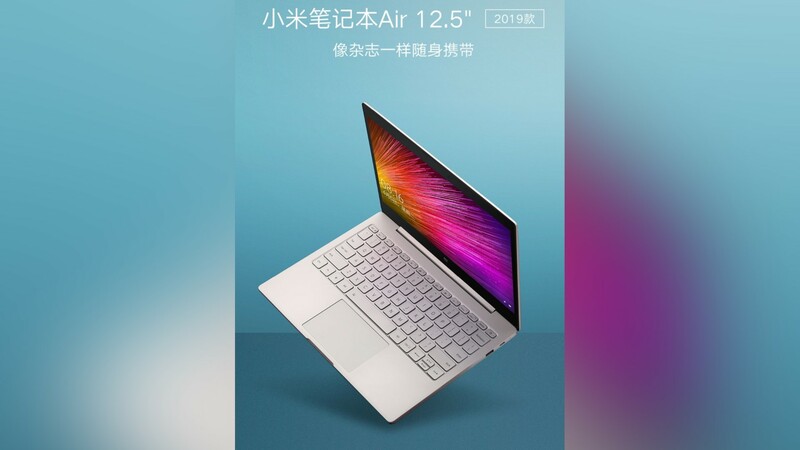 Xiaomi has launched a new 12.5-inch Mi Notebook Air in China flush with Intel’s 8th gen CPUs. The notebook will be available starting March 28 at a starting price of 3,599 Yuan (~Rs 36,920/$536). Pre-orders for the same have gone live since the announcement. Xiaomi’s notebook features a 12.5-inch Full HD (1920 x 1080 pixels) display with bezels measuring 5.71mm thin. It will be available in a couple of configurations- with an 8th gen Intel M3 or Core i5 processor. The M3 model can be bought with 4GB of RAM and 128GB/256GB storage. On the other hand, the 8th gen Core i5 variant comes with 4GB of RAM and 256GB storage. The notebook has a metal construction, has a brushed finish and weighs 1.07kg. It will be available in silver and gold colour variants. As for the battery, Xiaomi has revealed that the Mi Notebook Air is capable to recharge by up to 50% in 35 minutes. It also features speakers by Harman Kardon which are supported by DTS sound for an enhanced audio experience. The M3 processor variant of the Mi Notebook Air with 128GB storage is priced at 3,599 Yuan while the 256GB model will retail at 3,999 Yuan. The Intel Core i5 model will cost 4,299 Yuan.